You go your way, and I'll go mine. Is it really such a shame to leave the world behind? 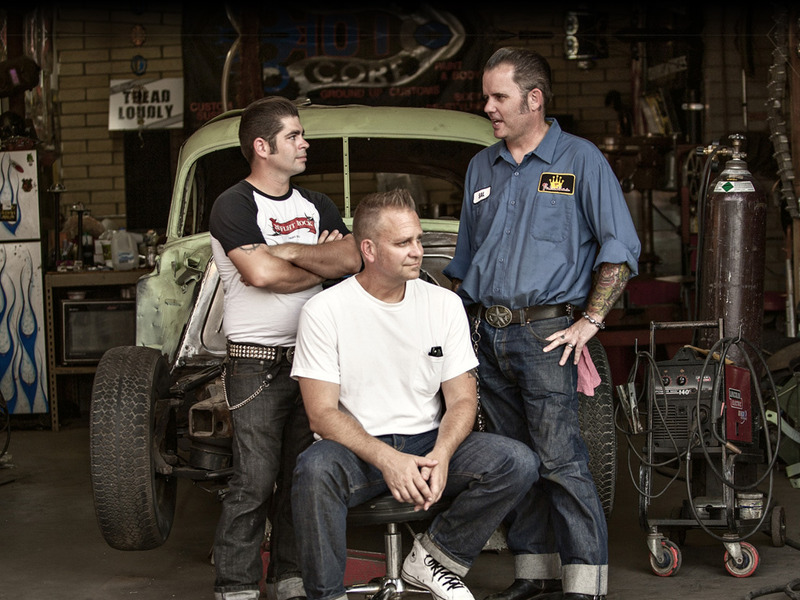 The band also scored the soundtrack for the Lowrider documentary "Low and Slow," as well as “Rockabilly Vampire.” In 1998, Shorty was awarded "Best Electric Guitar Player" by Salt Lake's City Weekly Magazine reader’s poll. In the early years, the band headquartered in Salt Lake City. After a long hiatus, the band regrouped in Phoenix to document rebirth with Greasers Por Vida, self-released. In 2010 the band, released “Refried Voodoo Beans” produced by Olivier Zahm of Electric Lotus Music. The band had just recruited the young Wesley Hinshaw on upright bass. His electro-kinetic slap bass playing sets the new Voodoo Swing sound apart from the flock. Voodoo Swing is rollin’ all over the western United States in their 1969 Lincoln Continental, tagging along a trailer full of gear. They've also made various major stops in Europe at popular Summer Festivals for their ardent European Rockabilly fans.